The recent Annual General Meeting of The Westcoast Barbershop Harmony Club marked the end of an era, with Bruce Okely no longer accepting nomination as its Music Director. Following the election of Kim Sebbage as our Music Director, nominated by Bruce, Life Member John Christie moved that, in recognition of Bruce’s long standing service to the club, he be awarded the position of Music Director Emeritus. This motion was carried unanimously and with acclamation. Bruce Okely opened the eyes and ears of Australian men to the enjoyment and satisfaction gained through singing four-part barbershop harmony. 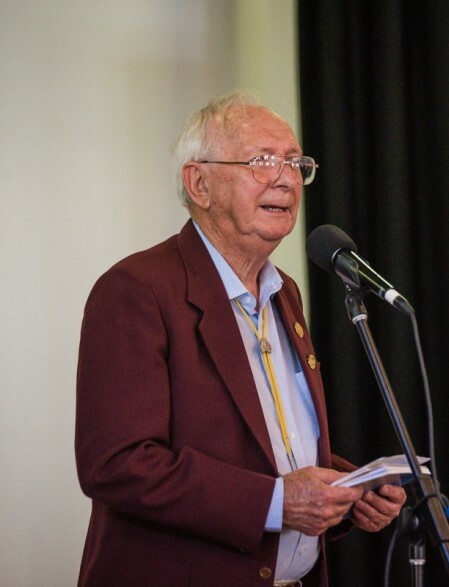 A talented singer and gifted music teacher, he formed Australia’s first men’s barbershop club, Perth’s Men in Harmony in 1985, becoming its inaugural Music Director. In his 13 years with the club, Men in Harmony won a gold and two silver medals at national conventions. At the national level, he was the AAMBS Founder, its inaugural Secretary 1985-1991 and is now a BHA Life Member. In 1998, Bruce left Men in Harmony to form a new club, with singers known as the Westcoast Chordsmen. The majority of this chorus were former members of Men in Harmony, many a little older than those who continued with Men in Harmony. For 19 years, the membership of the Westcoast Chordsmen has ranged from the low 30s to the high 40s, but as a predominantly seniors aged group, chose not to compete as a chorus in barbershop or other competitions. During his 32 years in barbershop, Bruce has arranged many songs for singing in four-part barbershop harmony, arrangements which have now become a permanent part of the Australian barbershop repertoire. The position of Music Director Emeritus, a mark of distinguished service awarded on retirement, recognises Bruce Okely’s outstanding service to the club and allows him to continue to exercise some of the roles and duties of a Music Director. One of the great pleasures in life is to sing in a Barbershop Chorus. One of the great challenges in life is to sing in a Barbershop Chorus against a brass band. This happened to the Melbournaires recently, and although the Stonnington Brass Band may be among the best in Melbourne, being stuck behind a very enthusiastic tuba player makes it impossible to hear the pitch pipe, and harder still to find the first note. Still, the audience seemed to enjoy the unusual mix and probably declared the band the winner, but in all honesty, the chorus and the band had their own parts and only came together thankfully only briefly, with the band giving that brassy flourish to finish the number. It should be said that our MD, John Webb, was also performing under difficulties. Whilst conducting alongside the brass band conductor, he successfully avoided injury from the trombone players and only suffered mild deafness from being too close to the action. A couple of months earlier we had been performing on a busy street corner opposite a train station, so should have been well versed in the art of blocking out extraneous noises and interjections, something that doesn't often happen at rehearsals. At the end of November we had our Christmas dinner which show-cased our singing and comedy to many friends and families. Many members put in a lot of hard work to make the event the success it was, as everyone seemed to have a good time. The occasion is always one where the hirsute guys can let their hair down while the follically challenged ones provide the entertainment. Our 2016 national champions, VOCAL EVOLUTION, have put together a show for Perth's upcoming FringeWorld festival. The show - “Funhouse” - is a simple love triangle, with the usual disastrous consequences. 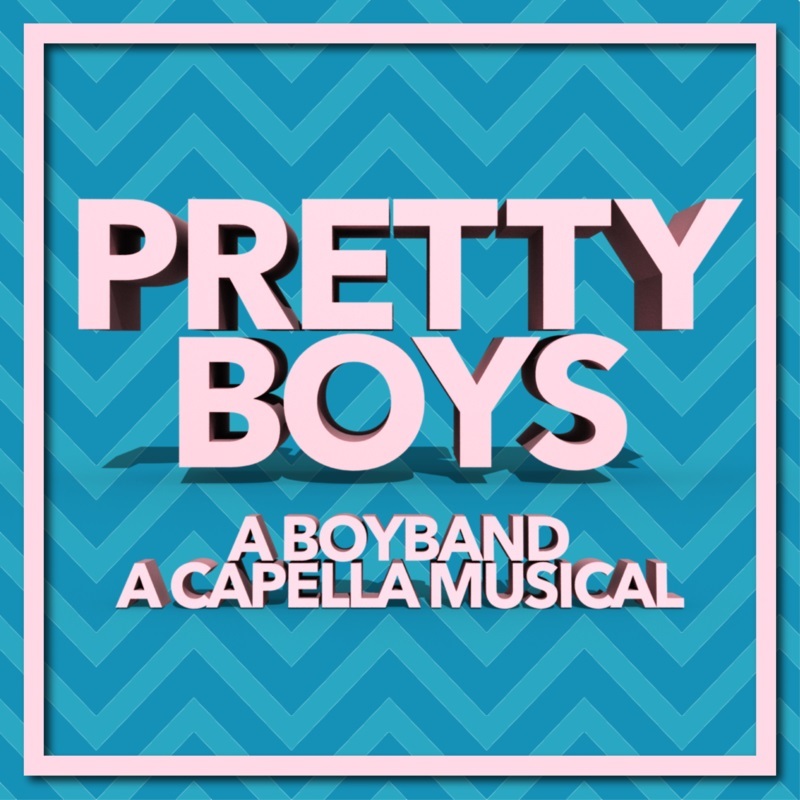 Set in a freaky circus, it incorporates songs by Pink, Kelly Clarkson, Britney Spears, Queen, Maroon 5, Toto and even Stephen Sondheim, all magically re-arranged using the complex harmonies and vocal styling that makes our art-form so immersive and soul reaching. The guys at VE will add more layers to their vocal talent by utilizing the skills of four cabaret dancers and some acrobats. 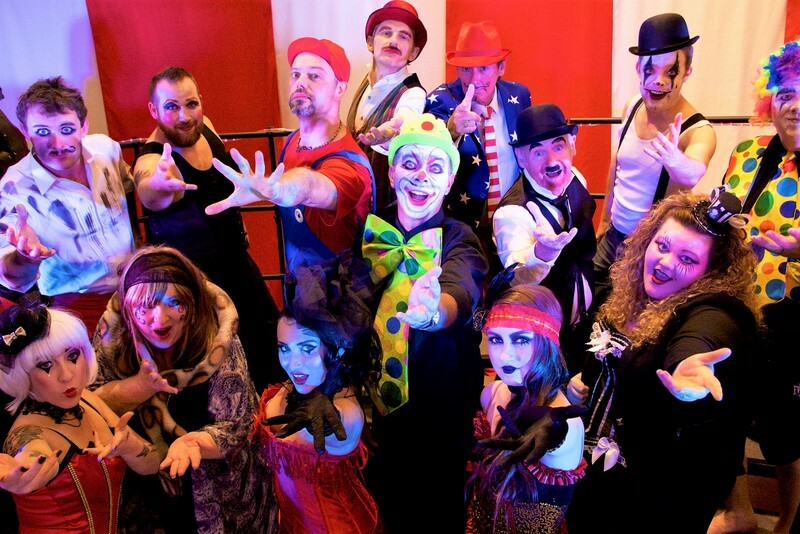 The show is guaranteed to take Barbershop to a place not seen before in Australia, and the broad appeal of FringeWorld will give VE the chance to introduce our artform to a new public. Renne de Waard - Member profile. Now 70 years old, Renne, a cornerstone member of Vocal Evolution, has led a very interesting life and seen a few changes in the Australian Barbershop world. Renne's life started in the Netherlands in 1946. He schooled and studied in the Netherlands where he attained a Mechanical Engineering degree. Renne then moved to Germany where he worked as an engineer for the prestigious car company, BMW. It was in Germany where he started singing as part of a Church Choir at the age of 24. In 1975, at the age of 29, Renne was married to Tanneke, also from the Netherlands. The couple decided that they wanted to travel and embarked on an epic trip from Amsterdam to Cape Town. Renne and Tanneke settled in the mountainous Kingdom of Lesotho where they stayed for seven years. They both found work at the Alpine Mission Hospital - Renne as the hospitals Building and Services Engineer. They raised 4 children. 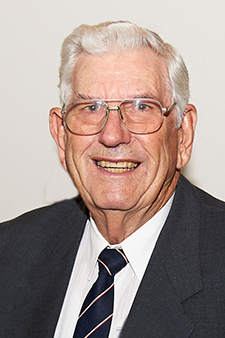 During their time in Lesotho, Renne was also the founder of a training program for motor mechanics. 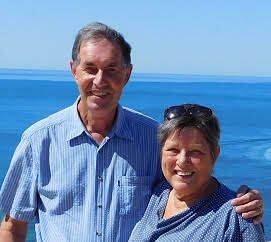 In 1982, Renne and Tanneke emigrated to Australia and settled in Perth. 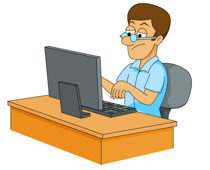 Renne worked as a motor mechanic and by 1984 had started his own business doing the same. It was one of his customers, John Nelson, who persuaded Renne to rekindle his passion for singing. Renne joined Men in Harmony in 1991. Renne was just a little too new a member to be ready for the first AAMBS convention over in Queensland in 1991 so he didn't go. However, he did stay a singer with Men in Harmony for 11 years, earning National medals in 1993, 1995, 1997 and 1999. In 2002 a small bunch of the keener singers separated from Men in Harmony to form a new group: Vocal Evolution. Renne was one of these founding members of VE along with Warren Beckwith, Rob Sproule, Dennis Westwood, Michael Day, Harry Owen, Adrian Gimpel and David Tout. They rehearsed in a modest room of a house in Fremantle. The lady in the room, Gina D'Souza was to become their coach and first Musical Director. Renne continued his love of singing Barbershop with both MIH and VE until he was persuaded to choose just one chorus for the 2003 National Convention. Since his retirement from work in 2006, Renne has very much become the chorus' handyman, volunteering his skills and building and fixing everything that the Leadership Team asks of him. Renne has earned eight National Chorus medals during his time with VE. Renne has also been a member of various quartets including 'Back to Bassics', '106 and Counting' and '110 and Counting'. He has earned four Regional Quartet medals and one National Quartet medal. An impressive collection indeed! Nowadays, Renne has been a BHA member for over 25 years. He is a proud Grandfather of eight and still a keen member of VE but considering retiring from Chorus singing next year because of Parkinson's Disease. But proof of his continuing dedication is his 80km journey each way to rehearsals and Perth based gigs. Sometimes he drives but even when taking over 2 hours on public transport, he always arrives with a smile on his face. Renne remains a positive, contributing, friendly, welcoming member of VE. In 2013, he was presented with the Vocal Evolution, Man of the Year award and more recently in 2016 he has become the second only recipient of Vocal Evolution, Life Member. John Hill passed away on the 6th November 2016 after a period of illness which kept him from singing for most of this year. John joined Men in Harmony early in 1997 and quickly became an important chorus member, taking on club responsibilities of Secretary in 1998 and 1999, then taking the role of President in 2000 and 2001. John further served as Secretary from 2003 to 2008 and again in 2010. John also took on the important role of Bass Section Leader and was always a welcoming face to new Bass recruits. One Bass recently commented that when he joined the bass section... With a twinkle in his eye John uttered the words, "Welcome to the elite section of the Chorus." John was an active Bass in Men In Harmony and the foundation of a number of senior quartets, Pheonix, Late Harvest and Quarks. John also ‘moonlighted’ and was an active member of Southside Harmony and was also their bass section leader. 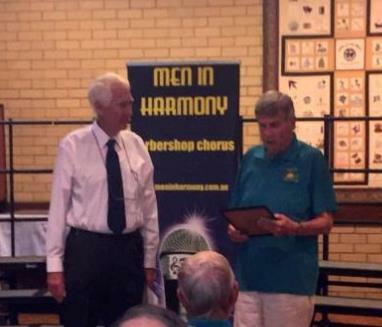 In April 2016 John was awarded the honour of Men In Harmony Life membership. 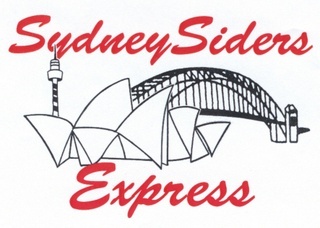 November 12 2016 SydneySiders Express sucessfully held two concerts (afternoon and evening) with the theme “Melodies bring Melodies” in the Turramurra Uniting Church. 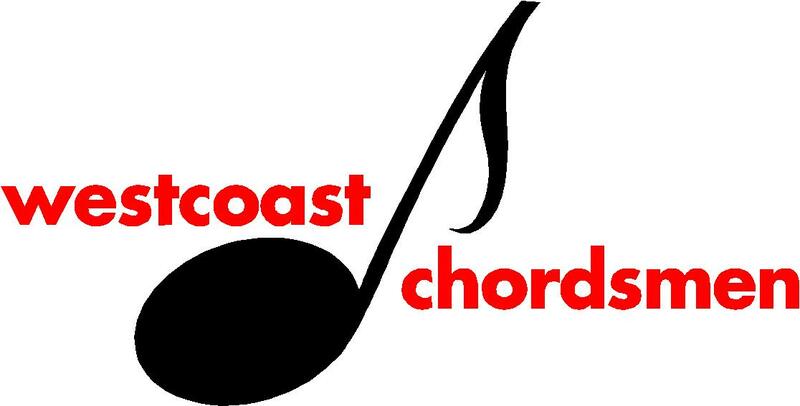 We were pleased to have supporting us in the successfully staging of both performances, the Northern Beaches Chorus under the Direction of Linda Wareham, the Arden Secondary Vocal Ensemble, the Pymble Jazz Band, the Sista! Quartet, Singaleles, and our own Harbour Lights and Amazing Greys. It was also pleasing to see friends from as far as Newcastle coming to support us. All of these acts gave of their time in supporting our Charity, the Oncology Unit of The Children’s Hospital at Westmead, to which we have now been able to donate over $160,000 over the years. This year on, December 1st, the chorus visited the Oncology Unit to sing on their Closed Television throughout the hospital as well as visiting numerous Ward’s singing to the children. A further donation to this Unit was made due to the success of the Biennial Concert. Our Chorus has been busy since returning from Newcastle. In October we participated in a Choirfest with many varied choral groups at Hornsby Uniting Church. The following week we participated in a another local Hills Choirfest featuring school choirs and other acapella groups from around our area. On 6 November we held our 20th anniversary concert at the Dural Memorial Hall.The event was well attended filling the hall to capacity. We performed a wide range of numbers from our repertoire to an appreciative audience. This included our "Oliver set" requiring some quick costume changing at one stage. The Chorus was ably supported by our own quartets HighJacked, First Edition and Something Good as well as an octet made up of HighJacked and First Edition. Our MD Peter Donald, has a very musical family and his family Quartet Accelerando also participated. We were also fortunate to have the current Small Chorus Champions, Vox Canvas, join us for a very entertaining set as well as a a vocal/instrumental group called Unwind which boasted one of our leads, Mal Woods in their number. All in all it was a memorable concert with many of our family and past members in attendance. Later in November the chorus performed at a local retirement village in West Pennant Hills in conjunction with the local Hills Inner Wheel Club. 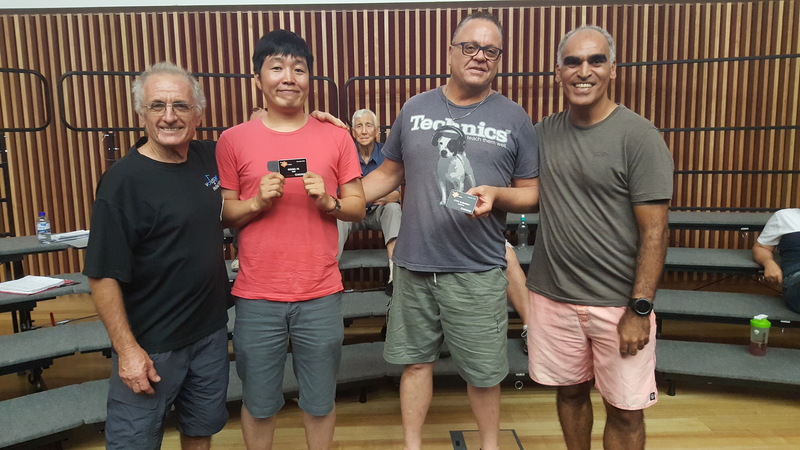 At our end of year Club function recently we had great pleasure in awarding our Music Director, Peter Donald our annual Barbershopper of the Year Award in recognition of the fantastic positive influence he has had on our Chorus over the past year. 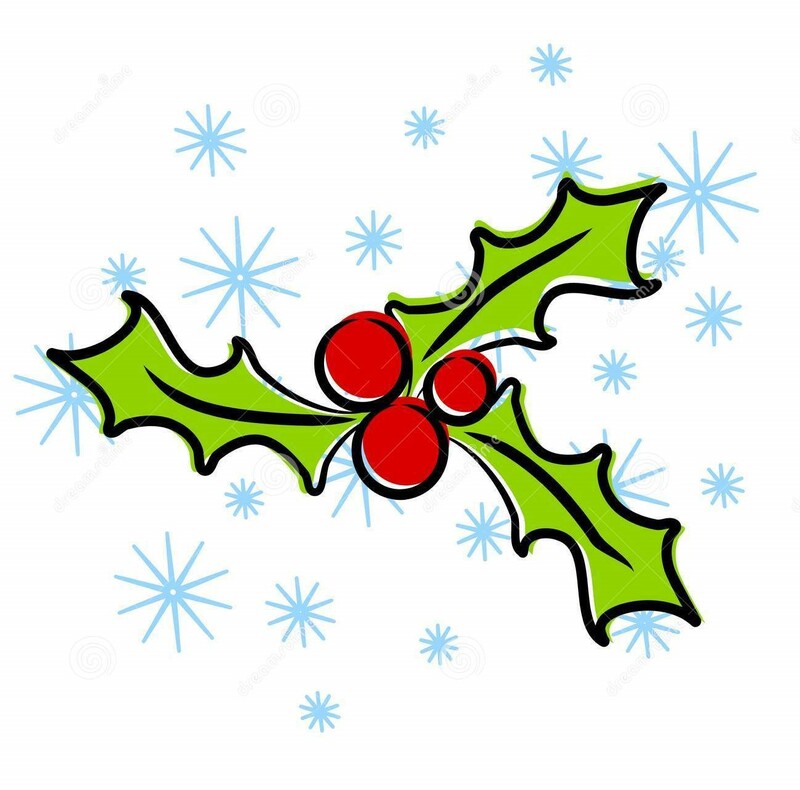 We have several shopping centre Christmas performances to go as well as a repeat performance the Kings Langley Carols which normally attracts many thousand people. We wish our fellow barbershoppers a merry and safe Christmas with plenty of song and good cheer. 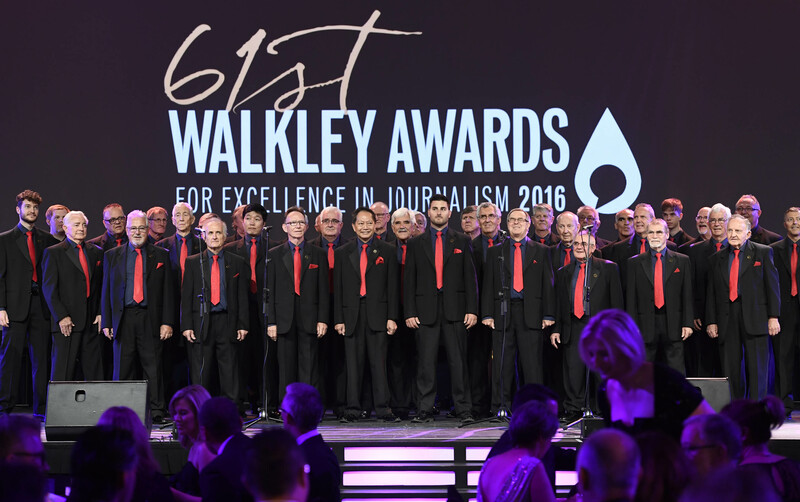 The Walkley Awards for excellence in Journalism have been happening since 1956 when the then head of Ampol Petroleum, Sir William Walkley, set up the first five categories to celebrate and encourage great journalism in Australia. Sixty years later in 2016, the Blenders were selected to kick off the night on December 2nd at the Brisbane Convention and Exhibition Centre. It is fair to say we were chuffed at the invitation and jumped at the chance to perform for the cream of Australian Journalists in a televised national event like this. 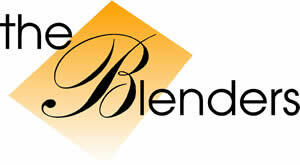 The Blenders turned up in strong numbers and delivered two tunes in warm tone and our new balanced sound. For sure we loved it but there is nothing quite as gratifying as a satisfied customer with the organiser of the event writing to us after the event. This is a great close out to a series of great Blender new experiences this year including singing “Stairway to Heaven” with a rock band at the Beta Awards, Singing with the Brisbane Salvation Army Temple Band conducted by Blindside’s Tim Green, and Flash Mobbing at the Palazzo Versace during a major Tourism Conference. It is awesome to sing and hang with a bunch of mates who are up for anything. The following night of December 3rd, the Blenders annual Voices in Paradise Christmas Concert was held where members of the public can spend a day working on several songs and perform with the Choir at the concert that evening. The concert was a great night with a strong line up including Blenders, BYC, our associate Griffith Health choir Serotonin, our associated Adeline’s chorus Coastal Charisma and quartets Major Espace, Upgrade and Blindside. Of particular note was Blindside who performed with Upgrade lead Jonathan Albertini on baritone blending beautifully with gold medallists Trent, Gareth and Tim. In the VIP space, Blenders are already well into planning for the mid-year 2017 VIP youth weekend which continues to grow as we host young men and women in coaching sessions focused on A Capella singing. Watch out for the concert if you are around the Gold Coast in May, it is always an amazing event. Blenders have recently performed at the Broadwater Parklands for the Sunsoakers 2016 event with a lovely delivery of our Christmas and Entertainment material well received by the Gold Coast crowd. This is followed by singing at the Gold Coast University Hospital on 12th December and a couple of gigs in the Surfer Paradise mall precinct. These are all great fun as we connect with the people of our home region, entertaining the crowds of tourists and locals along with some brotherly beer and snacks afterwards. Aaahh, now that’s beginning to feel a lot like Christmas, Blenders style. To all the BHA members, thank you all for an awesome 2016 and a great Newcastle convention. May you all have a harmonious and safe time with your loved ones and look forward to catching up with you in Sydney 2017. As is done every year at Australia Zoo, the tragic loss of Steve Irwin is celebrated on his birthday, November 15th. The Blenders have been there every year as well singing the anthem and unofficial Aussie anthems like “Home amongst the gum trees” and “True Blue” featuring John Leahy on guitar and Owen Buckley on lead vocals. We then spend the day wandering the zoo grounds singing for the people and animals and generally having a damn good time. 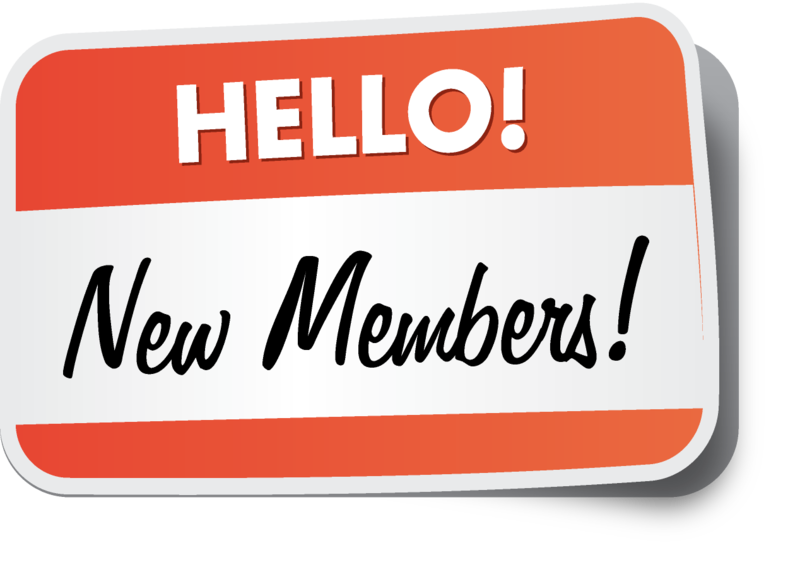 With our strong desire to continue growing the chorus, MT has recently welcomed two new members Michael Ha and Steve McMurray to our ranks. New President, Damon Newman, taking the reins from our October AGM was on hand with former President and membership dynamo Doug Goetze to welcome the new members. Another great young Bass and an awesome experienced Baritone are added and the choir continues to grow in quality and quantity. Finally, the Blenders wish to pay tribute to Charles Csabi, who has retired from the Blenders after many years of adding sweet Tenor magic onto the melody and harmony of our choir. He was up for a laugh and a great sing and we are proud to have had him in our ranks. Maybe we can get him up for a sing every now and then after one of our concerts. In addition to rehearsals for Pretty Boys, we’ve also been running a Christmas gigging program. This project has allowed many of our members to practice and develop their small-ensemble skills and so far has been quite successful. As a new year approaches, it comes time for the changing of the guard. We’re pleased to welcome Brooke Window to our leadership team as the new secretary. We’re also incredibly grateful for the work of outgoing secretary Margy Maley over all her years of service in the role. 2017 is shaping up to be a pretty big year. We have all sorts of projects in the pipeline that we can’t wait to tell you all about, so make sure you keep watching this space! 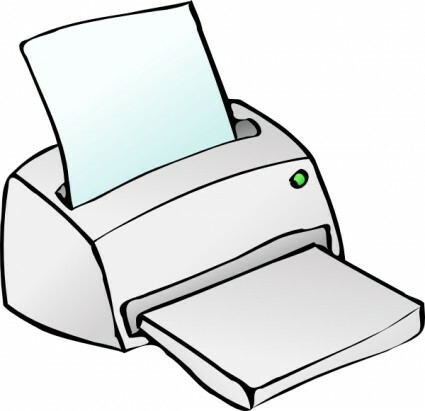 The year is drawing to a close and the usual round of carol singing and end of year parties are coming thick and fast. HAH had its Christmas break-up at the Lone Eagle Flying Club last weekend. One of our chorus members is also a stalwart member of that esteemed aviation group and we had a great time, despite the dust storm, the lightning, thunder, torrential rain and somewhat limited visibilty on the way there. We held our Singing Restaurant in October and whilst everyone enjoyed themselves it wasn’t the great fund raising vehicle we have had in the past. 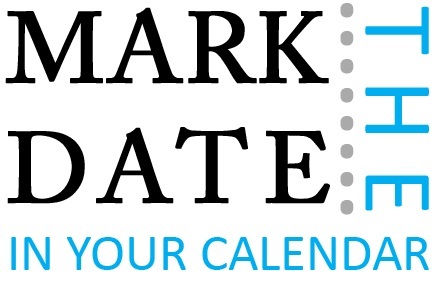 We are going to have a critical look at the coming year and see what we can do to reinvent it and a lot of other things within our organisation. We have settled into our new home at Toowoomba Philharmonic complex and just as we worked out where everything was and how best to organise thing our landlords decided to rip up the stage, carpet, etc in our rehearsal rooms and completely refurbish them. I anticipate an interesting start to 2017 when we reconvene. The chorus has sung at the Toowoomba Regional Council’s, Turning on the Christmas Lights, the Toowoomba Hospice carols evening and soon the Lions Christmas lights and we had a delightful hour or so singing for patients and nursing staff at St Vincents Hospital carols evening. It’s what make s Christmas, Christmas. We have had a change of some of our executive and the newly crowned Music VP has already got our homework over the Christmas break worked out. He also said we will have our entire program for 2017 up and runnning by early January. Talk about cracking the whip. To all our fellow Barbershoppers – A Merry and Bright Christmas and a safe and Happy New Year. See you at PanPacs! Tom Percy has decided to retire from Benchmark. We would like to acknowledge the great contribution Tom has made to the quartet since it was formed in 2008. We also acknowledge the courage shown through his health issues during Australia's Got Talent in 2011 and in more recent times. We wish Tom well in his retirement. This has caused a lineup change within Benchmark with Ray moving to bass and John Gairns joining the quartet as our new baritone. We welcome John to the quartet and look forward to singing together in the new formation. We wish all our friends a safe and happy festive season and look forward to catching up with you all in Sydney in 2017. I just have many CD’s, DVD’s and Videos from the 22 years I’ve been in barbershop and I’m having a huge clean out before moving and downsizing. Below is the list of International Barbershop videos I have for sale. I think all of these are 'out of print' as it were and no longer available. The first two were unavailable years ago (I just couldn’t find an original), after much searching and many emails, a barbershopper from the States sent me his originals for me to make a copy. I’ve only listed the videos at this stage and will send a list of all DVDs at a later stage. I would rather sell them for a fraction of the price I paid than just dump them in the bin, I’m sure someone will benefit from watching them. If anyone is interested they can contact me on steve@johnno.com.au I’m not sure how much postage would be but will negotiate that with the buyer at the time.